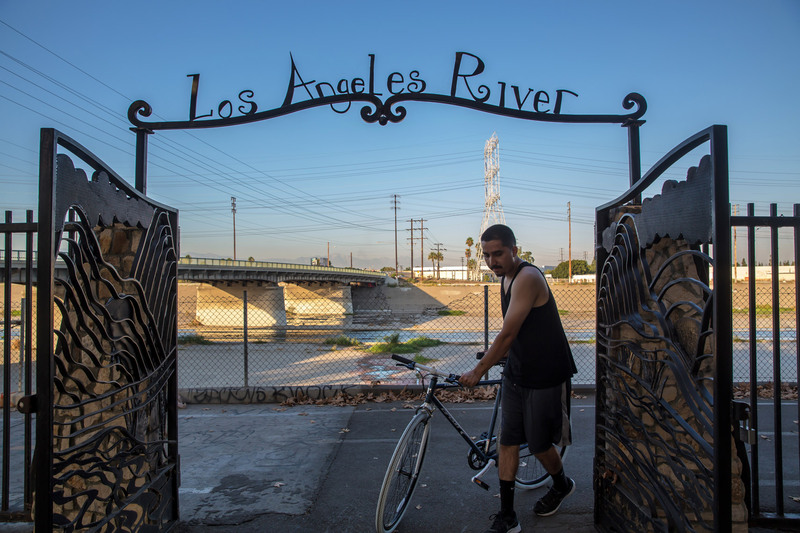 Maywood Riverfront Park, in an industrial neighborhood southeast of downtown Los Angeles, is in one of the most densely populated cities in the region. It was built with the help of The Trust for Public Land. The Los Angeles River Bikeway runs from this area, 29 miles, to the river's mouth at Long Beach.